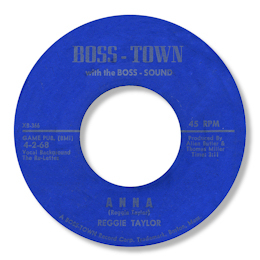 I am only aware of two 45s by Reggie Taylor both of whom are well worth taking the time and trouble (and money) to find. 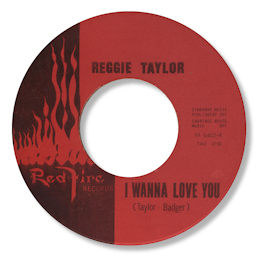 His first release for the West Coast Red Fire label I Wanna Love You is a classic deep soul item. This is the sort of music that really floats my boat – where a subtle rhythm section and a big horn arrangement accompanies a gritty, committed vocalist backed up by a fine female chorus. By the time of his second Taylor was in Boston but the quality of the music remained high. Anna is almost as good as the Red Fire 45, full of emotional depth and worthy of much greater recognition from the real soul community. It has a lovely bluesy touch to both the chord changes and the arrangement over which Taylor's occasional falsetto cries sound just about perfect.